The Quogue Wildlife Refuge in Quogue, Long Island, New York on the East End in the Hamptons is a nature and environmental center is 300+ acres of protected land, with seven miles of hiking trails caring for injured animals at the Distressed Wildlife Complex and offering many educational programs. Since 1934, the Quogue Wildlife Refuge has been a nature preserve that is home to diverse wildlife including some that are permanently injured and require human care to survive. 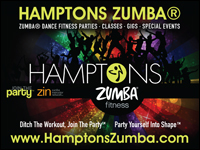 365 days a year, you can enjoy walking seven miles of trails to explore diverse habitats including forests and ponds, as well as the ecologically rare Dwarf Pines in the Pine Barrens. A bobcat, owls, falcons, eagles and other native New York animals that have permanent injuries are housed in the outdoor Distressed Wildlife Complex and can be visited any day of the year. Inside of the Nature Center, huge picture windows offer spectacular views of Old Ice Pond, as well as a great spot to bird watch or enjoy some quiet time. Comfy chairs, wildlife exhibits, live animals, a nature library, and gift shop can also be found inside of the Nature Center. Our obligation is to serve as a responsible land steward of the Refuge property and its natural resources, as well as promoting, implementing, supporting and assisting environmental education and wildlife management. 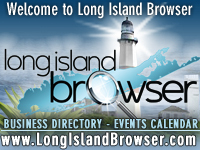 The Quogue Wildlife Refuge is a 305-acre expanse of protected land, with over seven miles of trails where you can explore a variety of habitats including Pine Barrens, bogs, wetlands, a field, and a tidal estuary. Our main trail is wheelchair and stroller friendly and all of the trails can be enjoyed in every season. The Refuge is a great place to cross-country ski and snowshoe! There is also a Distressed Wildlife Complex which houses animals that have been injured and would not be able to survive in the wild. Inside the Charles Banks Belt Nature Center you will find a warm and friendly environment where you can observe wildlife through huge windows that overlook Old Ice Pond. A variety of exhibits, turtles, snakes, a touch table, a children's room, and a sitting area with a beautiful view of the pond can be enjoyed inside of the Nature Center. This building is available for meetings and events and is the gathering spot for many of the educational programs offered for adults, children, and families. 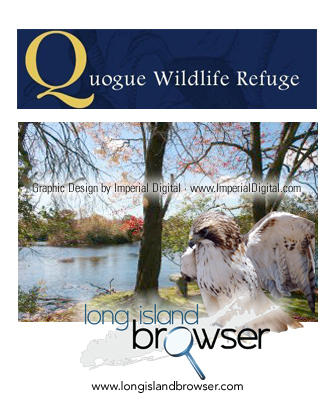 The Quogue Wildlife Refuge offers a variety of nature related programs for all ages. Throughout the year, visitors look forward to our big events such as our Earth Day Celebration, Easter Egg Hunt, Summer Ecology Program, Annual Barbecue, Halloween Trails, and our Annual Benefit Gala. For those folks who enjoy history, the Refuge has plenty of it. Prior to becoming a wildlife preserve, the Quogue Ice Company harvested ice on Old Ice Pond. On the grounds you can visit the Ice Harvesting Museum that has authentic, century-old tools. The Refuge trails and Distressed Wildlife Complex are open every day from sunrise to sunset. Nature Center Building is open: Tuesday, Thursday 11;00AM-4:00PM and Saturday-Sunday 11;00AM-4:00PM. There is no charge to visit the refuge. Tags: Quogue Wildlife Refuge, Long Island, New York, East End, environmental center, outdoors, walking, hiking, hike, nature, animals, wildlife, trails, pine barrens, wildlife refuge, Quogue, bird watching, ice harvesting, old ice pond, Quogue history, nature preserve, bobcat, bald eagle, education, owls, non-profit, not-for-profit, kids, activities, educational programs, environmental programs, environmental education.